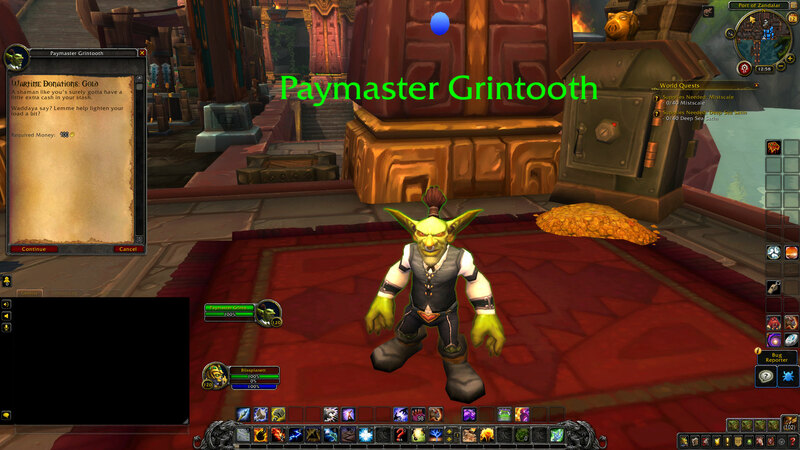 The Warfront: Stromgarde’s Wartime Donations daily quests have been added to Battle for Azeroth Beta. 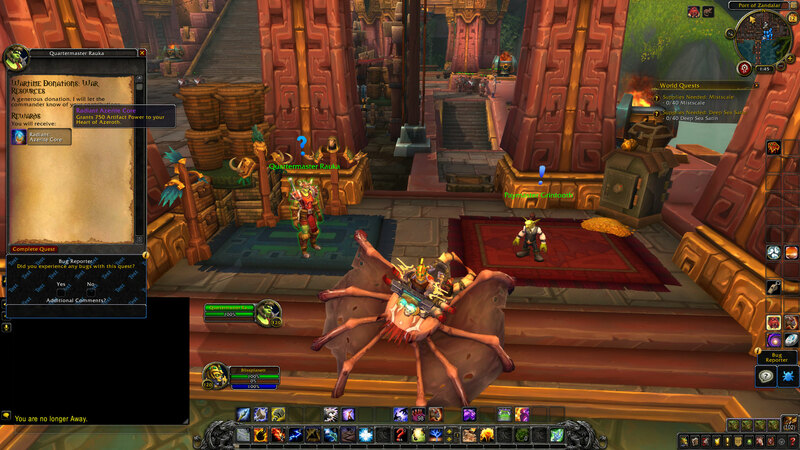 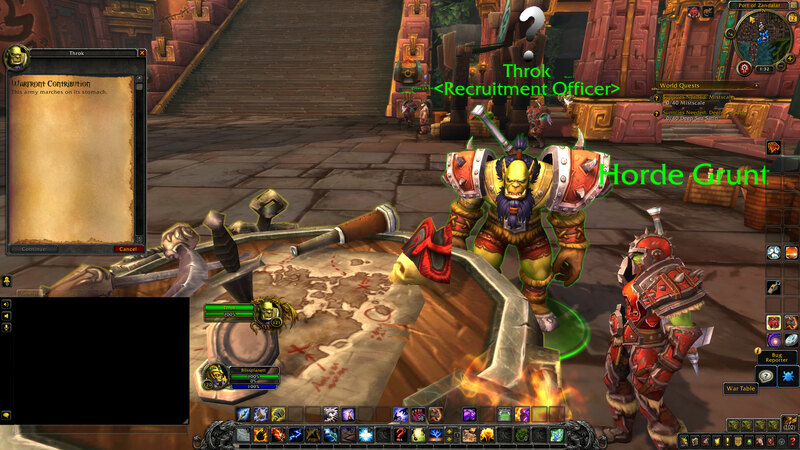 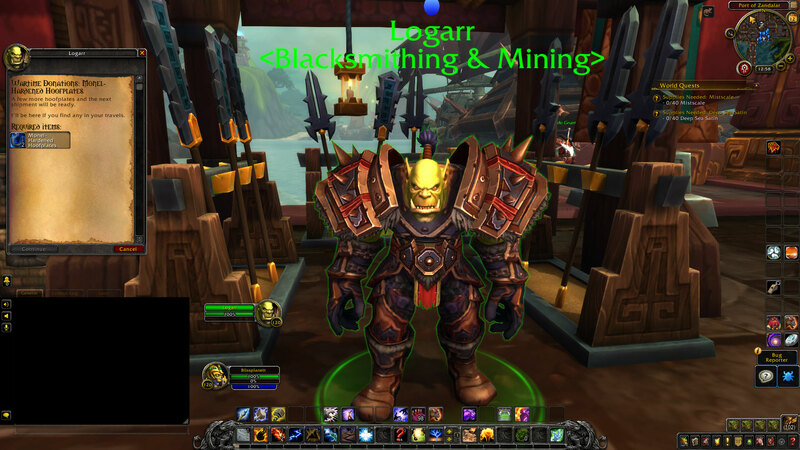 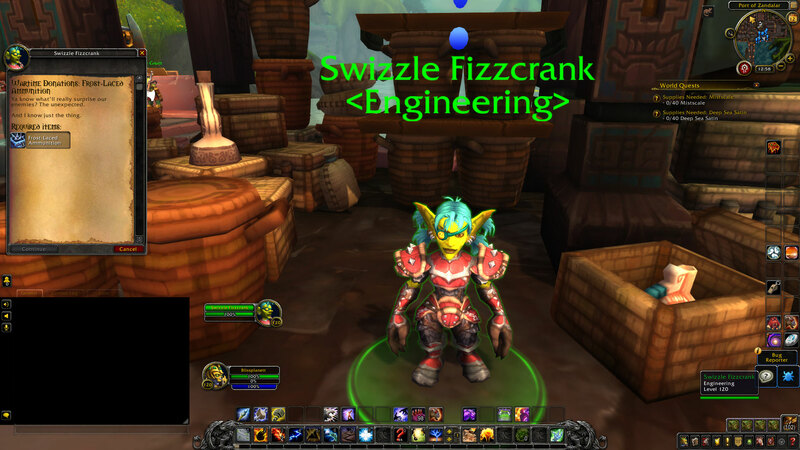 The idea is that in order to open the Warfront, players have to unite to provide resources for the war effort. 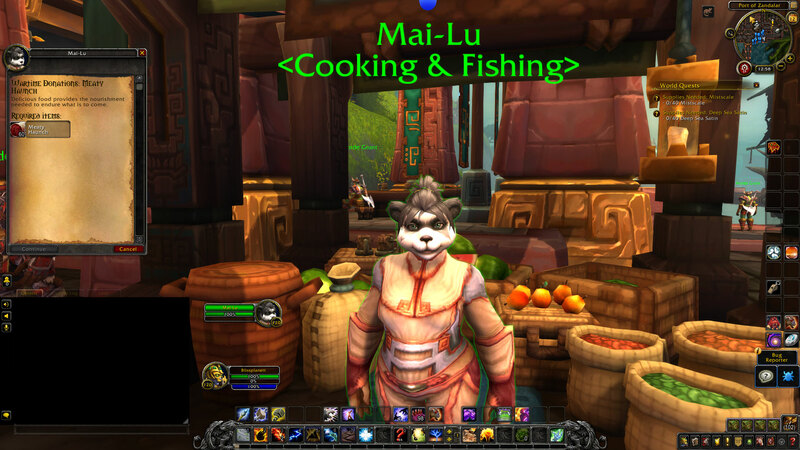 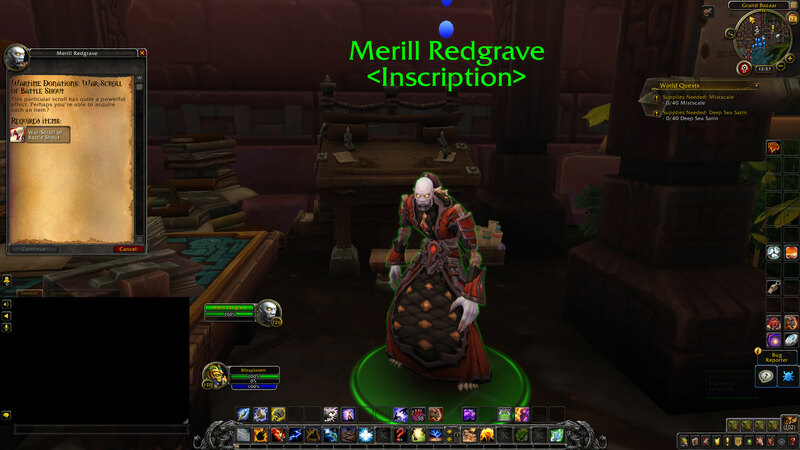 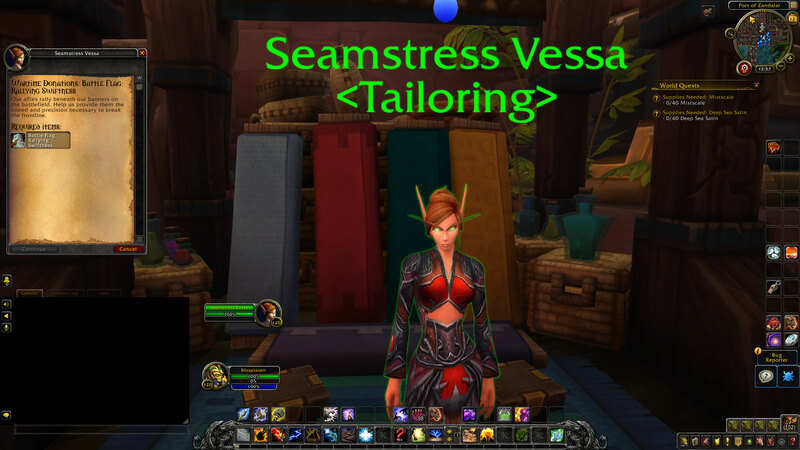 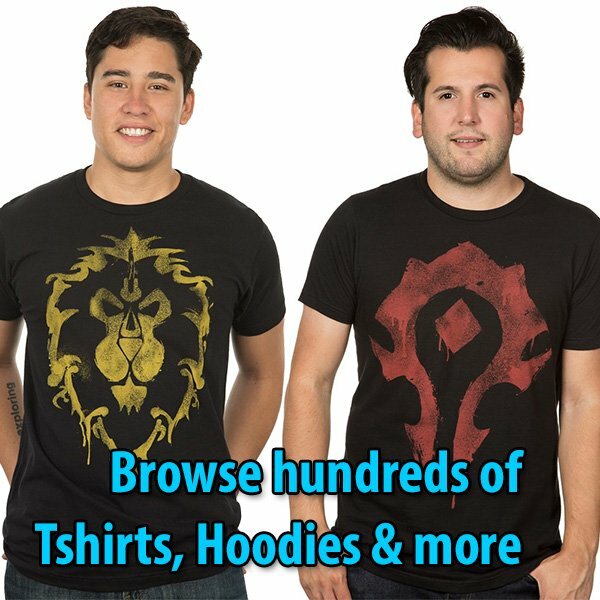 Works similar to how players gather resources for the Broken Shore buildings, but instead of a table each player donates profession materials to their respective trainer at Port of Zandalar or Boralus Harbor. 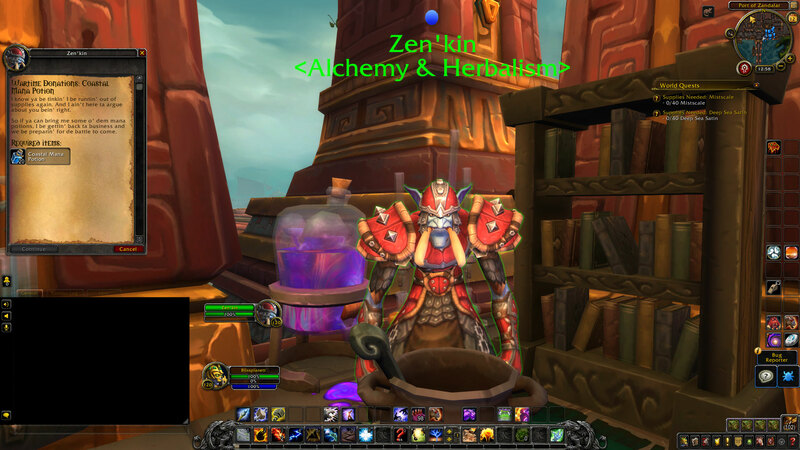 As a reward for contributing you are given a Radiant Azerite Core (750 Azerite) for your Heart of Azeroth and 500 Reputation with the Honorbound (Horde) or 7th Legion (Alliance). 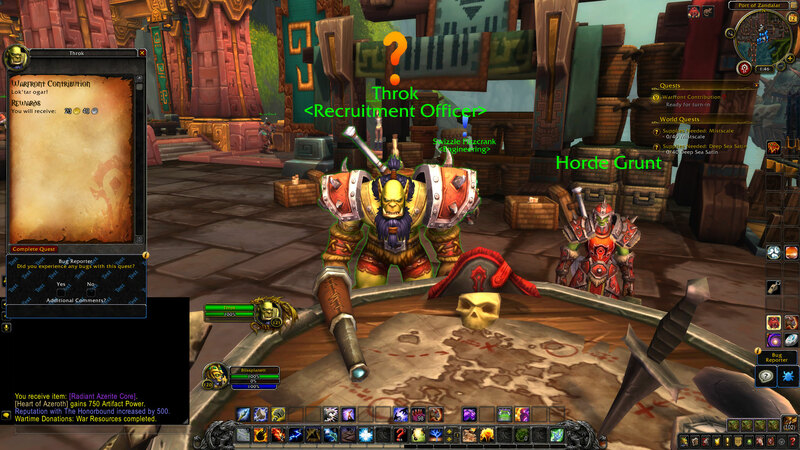 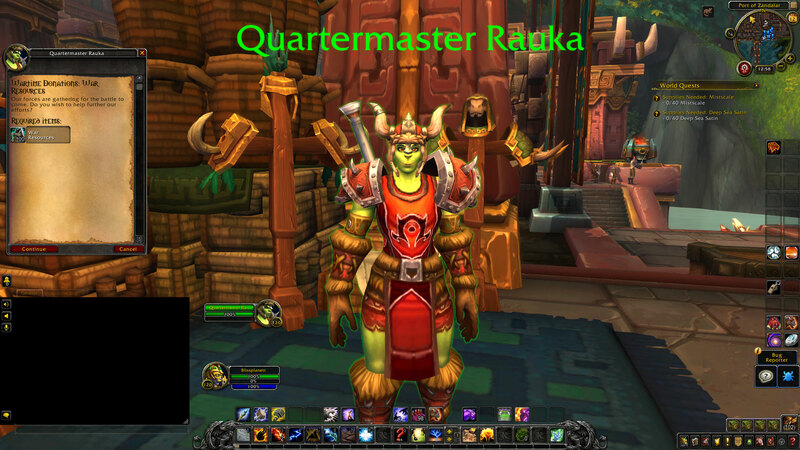 Once you complete any of those quests, automatically the main quest “Warfront Contribution” is enabled for turn in. 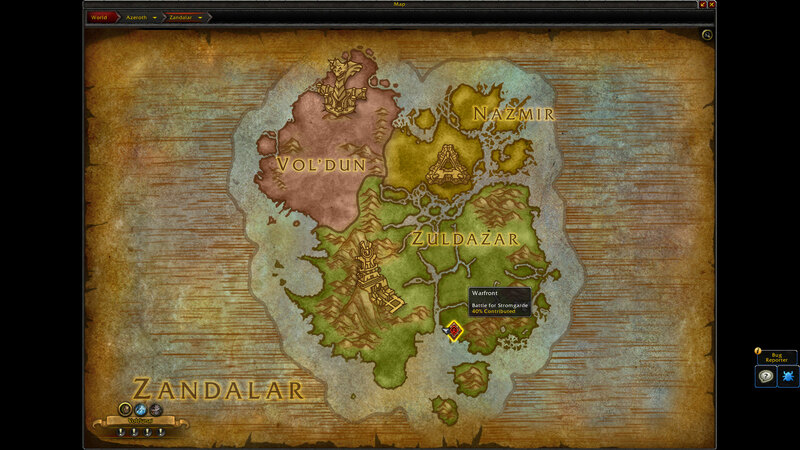 To learn what the progress is in the Wartime Donations, open the Zandalar continent map to monitor at what percent the Wartime Donations currently is. 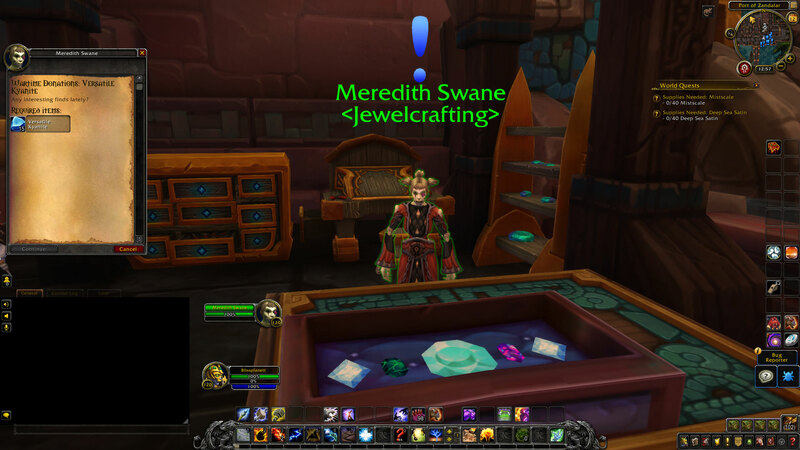 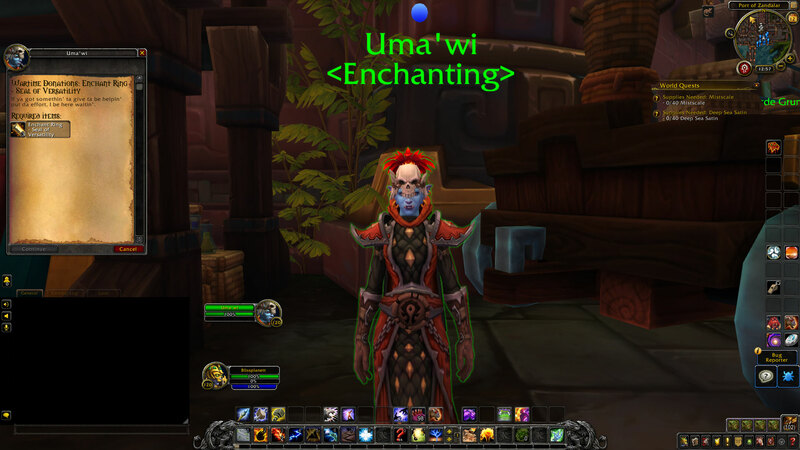 Once it hits 100%, the Warfront: Stromgarde table can be interacted with to queue.